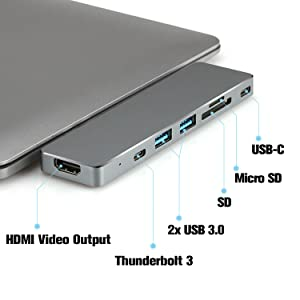 Unique Design: Designed for New 13" 15" MacBook Pro 2016/2017 w/ Thunderbolt 3 port. Multiple ports: Features Pro Hub's Thunderbolt 3 port, 4k HDMI (30Hz) video output, Type-C port, 2 USB 3.0 ports and SD/Micro Card Reader. 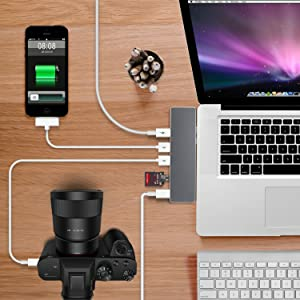 With the newer generations of laptops and notebooks come out, Many People will find the loss of vital ports such as HDMI ports to compromise with the thinness of the laptop. Are you getting tired to carry multiple dongles and cables to be able to utilise the laptop for peak performance and maximum performance? ❤ Here is your solution. 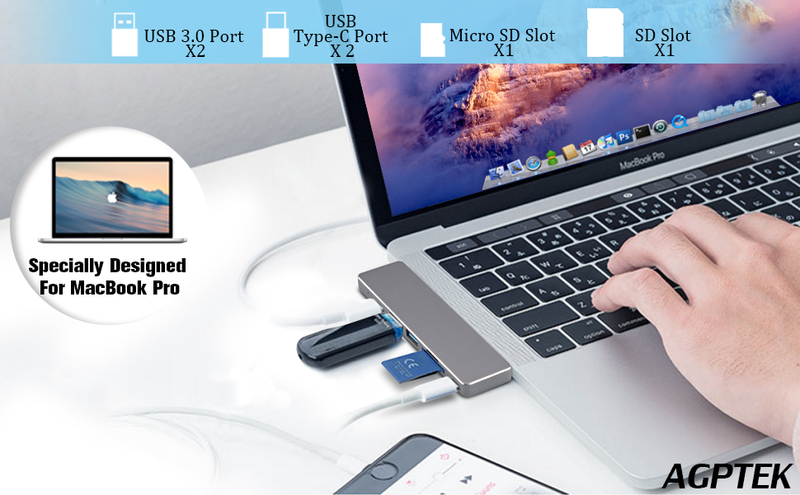 ★★★★★ The AGPTEK aluminium USB Type-C hub is specially designed for the 2016/2017 MacBook Pro, both 13″and 15″.It provides various ports to expand the capability of Macbook Pro.The Hub Adapter features a Thunderbolt 3 port, 2 USB Type-C port, 2 USB 3.0 ports, 4k HDMI, and a SD/Micro card reader. Simply, plug and play to expand your MacBook’s capabilities. for your MacBook Pro to enhance productivity. 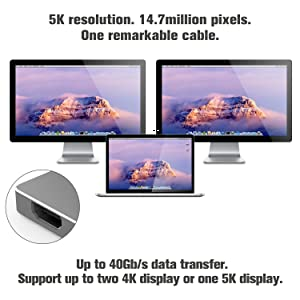 to your HDMI-enabled external monitor. rate without taking too much space or weight to carry around.